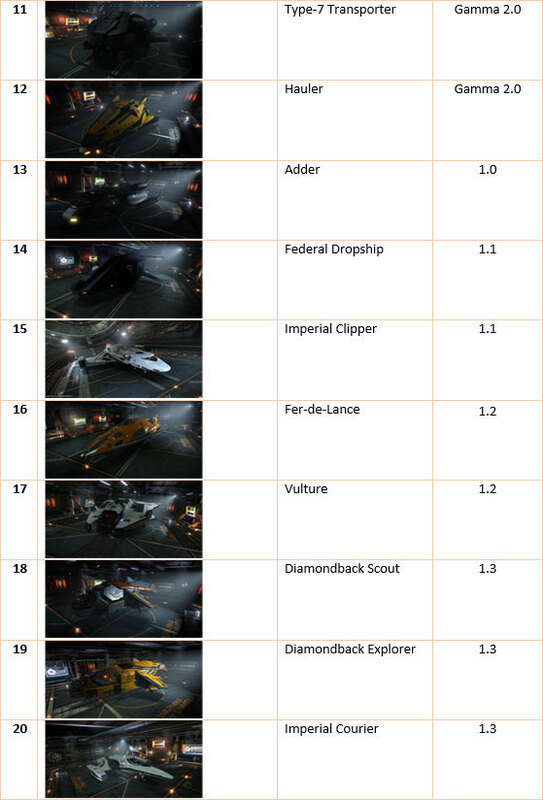 Frontier have now announced the full roster of ships for the 1.5 update in December. But it's good news and bad news. No passenger ships (Belga liner and Dolphin) and so we can take this as confirmation that there will be no passenger missions added in 1.5. 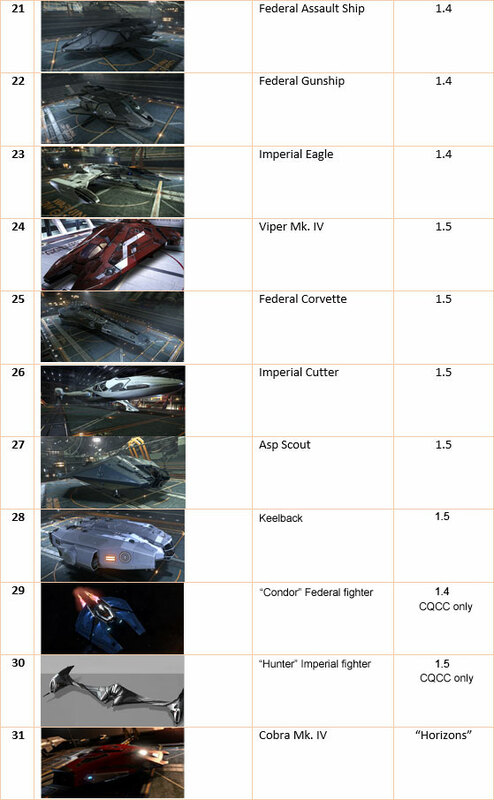 Two of the 30 playable ships are CQCC only ships (not playable in the core game) which to my thinking should not strictly speaking count. The Federal Corvette and Imperial Cutter all confirmed. 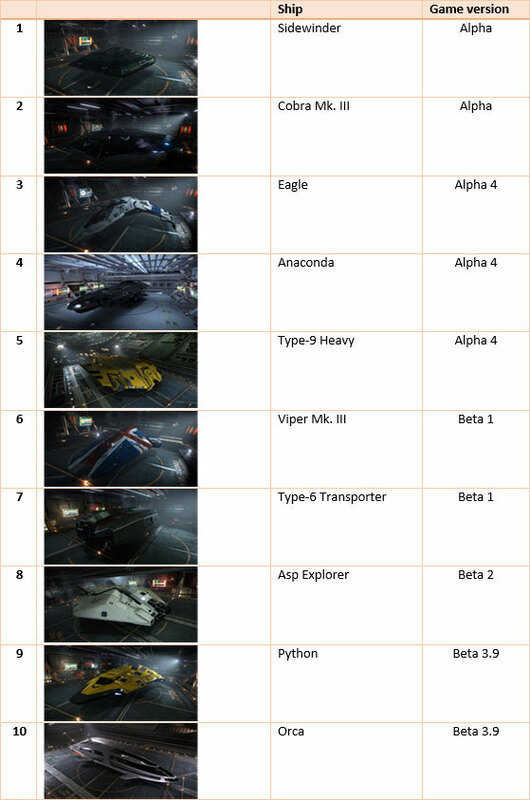 Three other new ships named Lakon Keelback, Viper MK IV and Asp Scout are confined and appear to be variant ships. Last week at EGX I met a lot of really great people. One person I met was new to Elite: Dangerous, although he knew of the Elite games of old. CMDR Satvia bought the game at the show and made a note of my gaming community group (www.deadmen.co.uk) as the URL was on my hat. He popped on our teamspeak channel the following week, after registering with the forums and we started to talk through how to play the game, solve issues with outfitting and where to find things in-game. With all the usual dMw banter! During the conversation I explained what I had been doing with merits and bounty hunting for Arissa Lavigny-Duval (see my previous post) and Satvia, being more interested in combat, asked if a new pilot could achieve the rank 5 and associated riches with just a basic ship. Satvia threw himself into the task with enormous enthusiasm - first we Winged up and went bounty hunting in a resource extraction site and raised some cash to furnish his ship. On evening one, we had the Sidewinder fully decked out and ready for long travel. Evening two, Satvia had relocated his ship to ALD space and some more RES hunting brought over a million credits, plenty to upgrade to the slower but hardier Cobra Mk III. Then the merit hunting began! Slow initially, but with help from CMDR SneakyTiger, CMDR Ranualf, CMDR AgentZigZag from dMw and miscellaneous like-minded commanders in OPEN play, we racked up merits for five days. By Tuesday evening, Satvia had over 8000 merits, with two evenings to go before the PowerPlay cycle, it was a cynch! When I arrived home from work this evening, CMDR Satvia had posted that he had hit the magic 10,000 earlier in the day! Here is his video showing him posting the final merits and telling it in his own words!